Halloween is one of my favourite holidays! I just love the creativity, the fantastic costumes, the make believe - it's like being a kid all over again! When I was a kid I loved Halloween, spooky costumes and trick-or-treating was the highlight of my year, and as I've grown up not much has changed and this year is no exception! I'm still busting to celebrate, but this time I'm taking the more relaxed approach with a day of decorating, a night of horror movies, and of course a pumpkin full of sweets ready for the trick-or-treaters. As is tradition you can always keep to the classics and carve your pumpkins, but if you'd like to try something a little more mess free and just as creative you can do all sorts of things to decorate your pumpkins. I've seen a amazing range of glitter pumpkins on Pinterest, but this year I decided to give painting my pumpkins a go. 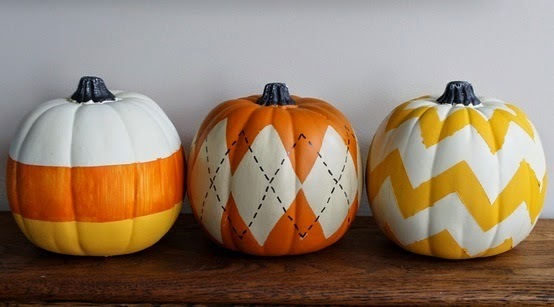 I picked a selection of Autumnal Metallic paints from Poundland and painted my pumpkins into simple but festive patterns. They look great for Halloween but will last all the way through to Christmas as a great centre piece for any room. You can still go ahead and carve your pumpkins too if you love that candle glow but be sure to keep some of those pumpkins innards (not the seeded bits) we're going to need that for our face masks! 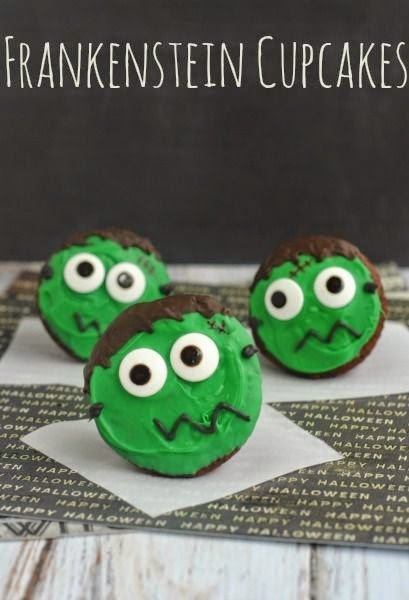 These are so simple but they'll make the perfect accompaniment to your Chocolate cauldrons! Using your favourite chocolate muffin recipe or my simple recipe below, making up a batch of muffins but add in some Aero mint chocolates for little green minty bubbles and make a butter icing sugar with peppermint extract and green food colouring. Add all your cake ingredients into a bowl and mix well. Break up your mint Aero into generous chunks and mix carefully into cake batter avoiding crushing chocolate to much (you want big chunks) and divide into roughly 6 muffin cases. Cook in the over for around 20minutes until tops break and skewer comes out clean. Then leave on a rack to cool and Ice! Easy but super delicious! I'm going to be using a super easy hot mocha cocoa recipe from my Christmas gift ideas 2013 which you can find here, but you can use your favourite blend if you like! 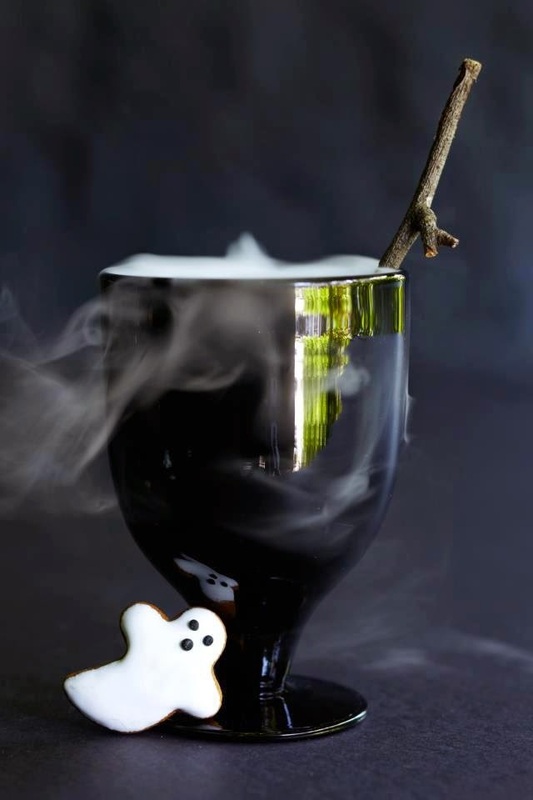 To give your hot chocolate that little Halloween touch you can make quick and simple themed cutouts for the sides of your mug , ghosts or pumpkins are of course classics! I've used this Black mug I spotted in Morrison's which makes the perfect cauldron and added witches pentagram and handles to the side of mine for extra effect. And for that final touch I've used a long handled teaspoon to stir the cauldron and added burnt marshmallow ghosts and chocolate eyes (all from Poundland again!). Time for that pumpkin flesh we put aside - that sounds suitably Halloween like. You're going to need around 150g but don't worry too much about weighing it out, just pop whatever you've got in a pan to boil for about 20-30 minutes until soft, then strain the water and once cool blend until smooth. Don't worry if you have any lumps it will just add to your Halloween mask! Then add a tsp of raw honey and a tbsp of milk (you can' swap this for soy, almond, or coconut) and mix well. 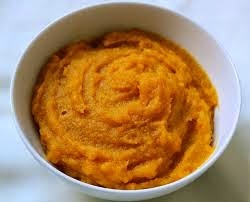 Smooth all over the face, feel it tingle, then sit back and relax with your cauldron and cake for 20-30 minutes. Time to press play on that scary movie - don't forget to turns the lights off or it's just cheating! This face mask is full of vitamins and great for your skin, and great for most skins types. If you're more acne or blemish prone you can add a little cranberry juice or cider vinegar which will do your skin wonders. Don't forget to wash it off with warm water and moisturise as usual!! So there are my four easy ways to add a little Halloween to your Friday night. Whatever your plans I hope you have a lovely time.